here are the three DLC costumes that were missed from when the original mod was released, the Koholint skin, the Grand Tavels skin, and the Lorule skin, all coming from Hyrule Warriors Definitive Edition. An alternate name for this mod? Great Lord Roy. Imagine this is how our boy looks when he promotes, because the actual game doesn't change how he looks upon promote! 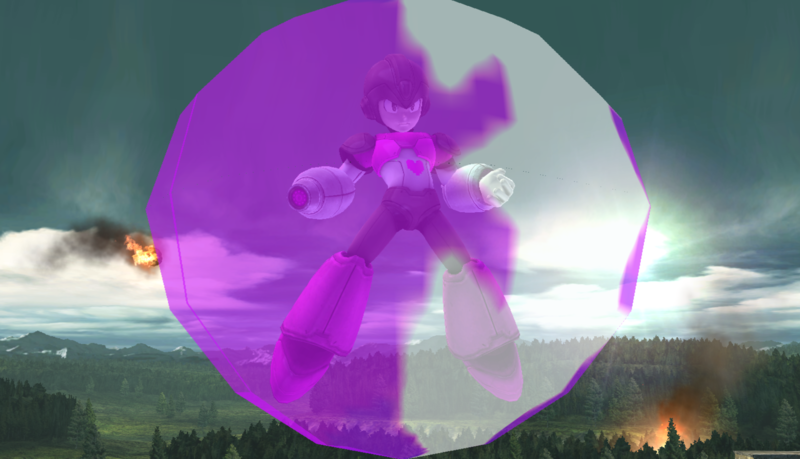 Here's something I did without much of a reason: You can now have PM Roy in Sm4sh armor. I was surprised how easy it was, but how difficult it was to pull of the renders. I'm uploading this whilst also having to do college homework. Yippie flipping skippie! I love you guys! I apologize for the lack of screenshots for all costumes, but I promise you, it's all there. Costumes without screenshots will show up in the album as their render. Jaystring created an amazing Hyrule Warriors Ganondorf. 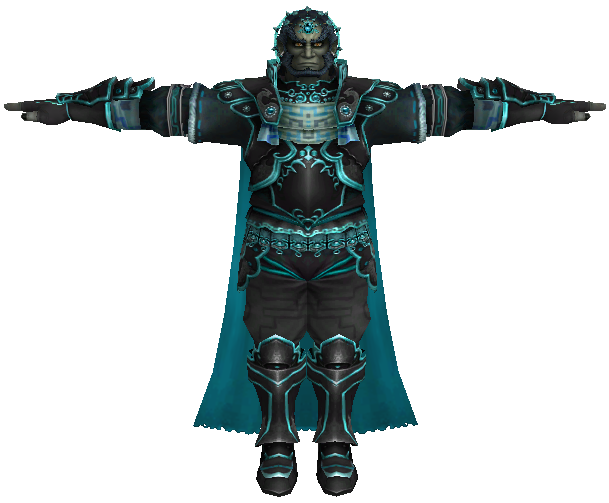 I simply took the Twilight Princess and colored it to resemble Phantom Ganondorf. Finally, After thousands and thousands of requests for him, here he is! -HD texture in PNG or DDS for about all texture and icons. 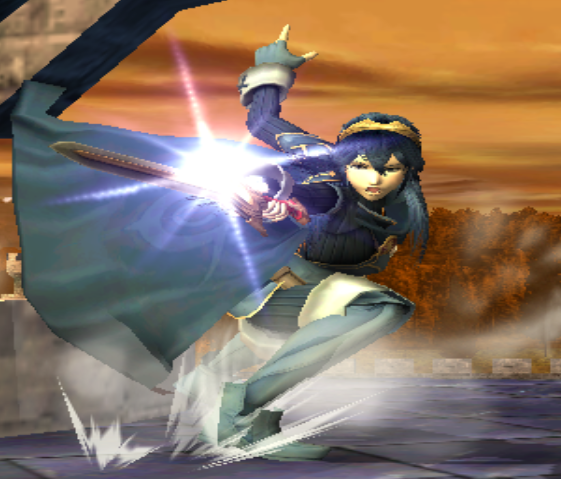 - The PM 3.6 moveset edited to have either Hyrule Warrior Sword or Hyrule Warrior Trident instead of the Twilight Princess sword. 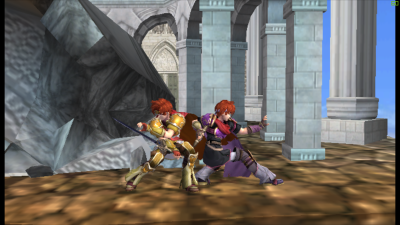 The default HW costumes and recolors comes with 2 variants, a Wii version and a dolphin version. check the readme file to get the details of which one you should use. Thanks to Kuro for helping me out with the mod. - HW 12 (Purple Galaxy): A purple style, with a twist. 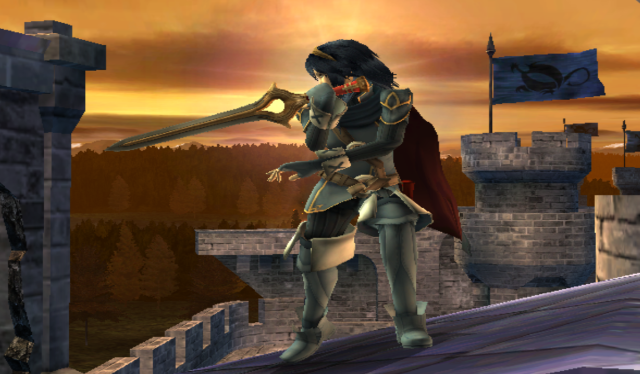 - HW 13 (Hyrule Warrior Legends Phantom Ganon recolor): Straight from the game. He also helped me polish the metal materials on all the costumes and he took care of the image gallery upload and Brawlvault Banner! 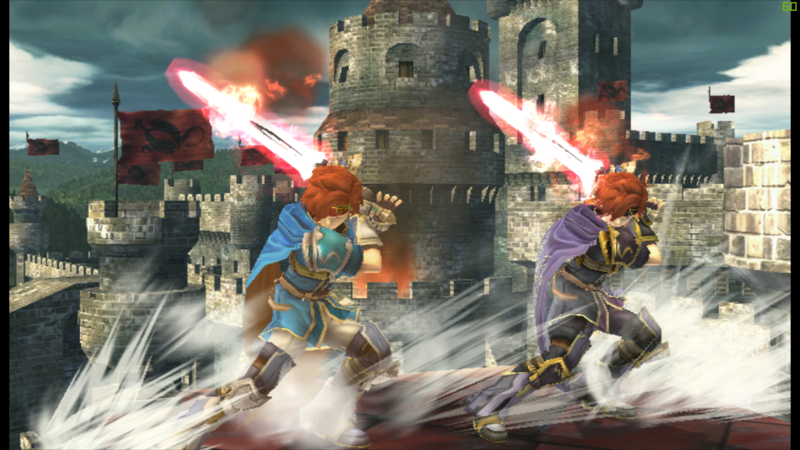 His Cosmetics feature the sword, so it might be wise to set up the FitGanon so that TP and HW Ganondorf has the HW Sword. 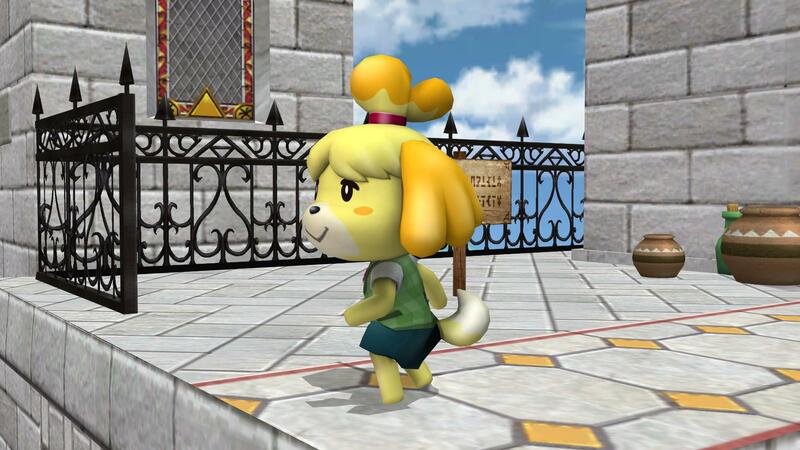 This is a Hyrule Warriors Modset anyways. If you find any issues with the mod, please let me know and I'll try to get those fixed! Shaders for metals been fixed. It now does the proper flishy flashy stuff. I accidentally used the wrong colours in the shaders, that messed up the flishy flashy stuff. 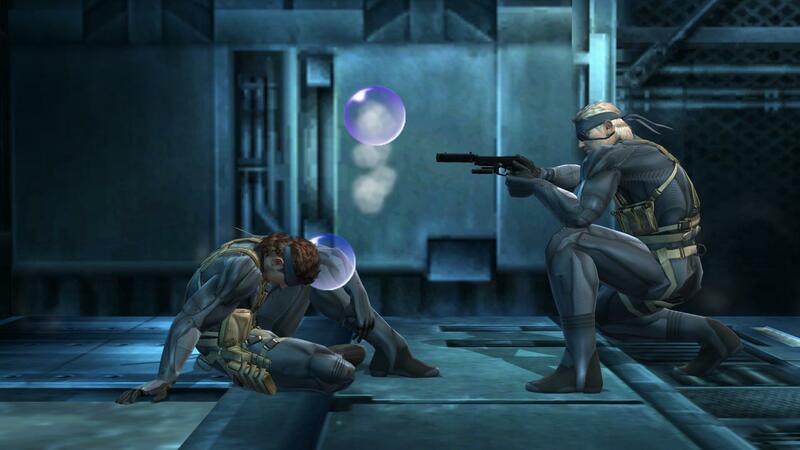 This is a huge pack i've been working on for a while combining tons of stuff from MGS3 Snake. 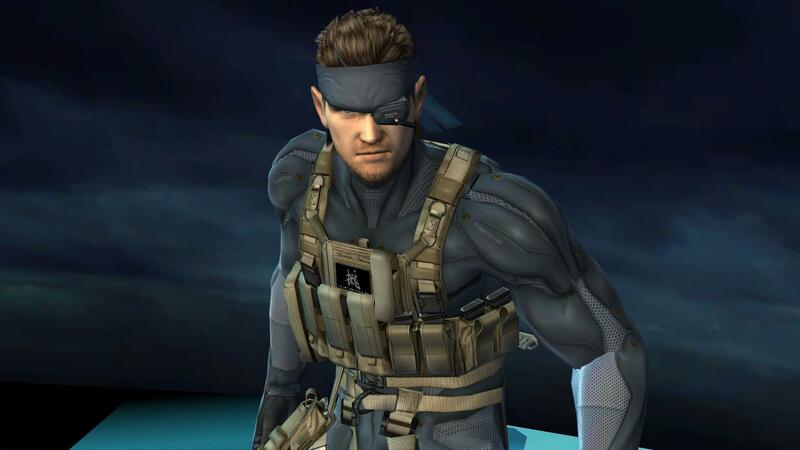 1) A fixed/optimized/debugged and improved version of the project M Big Boss model. All costumes have moving eyes, metal shader, facial expresion etc etc. THey should all work fine for Wii too! This pack took a lot of work to get put together. I hope you all enjoy it! 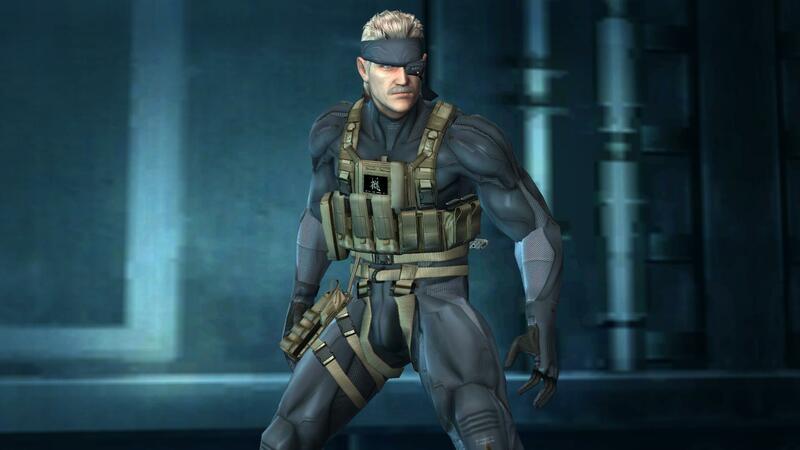 Here's Old Snake from MGS4! The dolphin version is designed to be used on dolphin WITH HD texture only. They are required or else the model will be super blurry in-game. 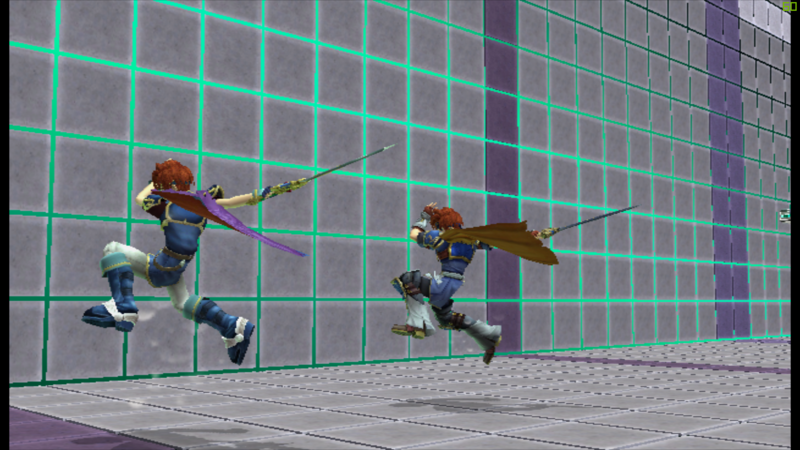 If for some reason you do not want to use HD texture, use the Wii version on dolphin. 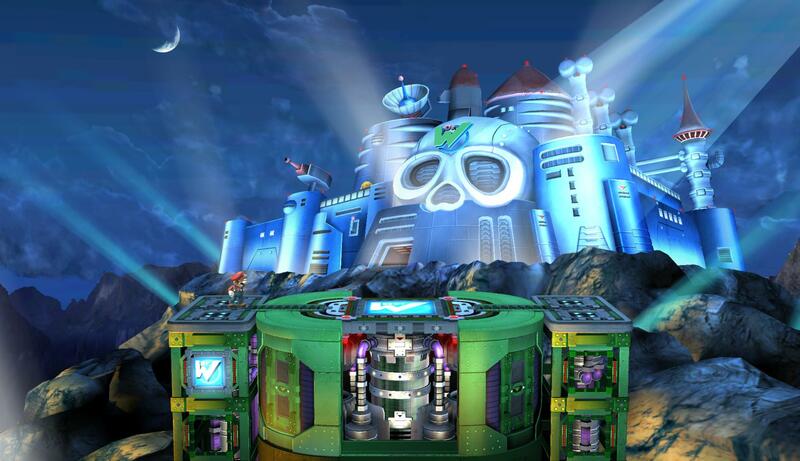 The Wii version doesn't require HD texture but is a compromised version with some stuff removed. Let me know if you have issues! Brightened some shadows, darkened the gauntlets, and changed the color tone on most textures so it fits Smash 3DS brighter art style. 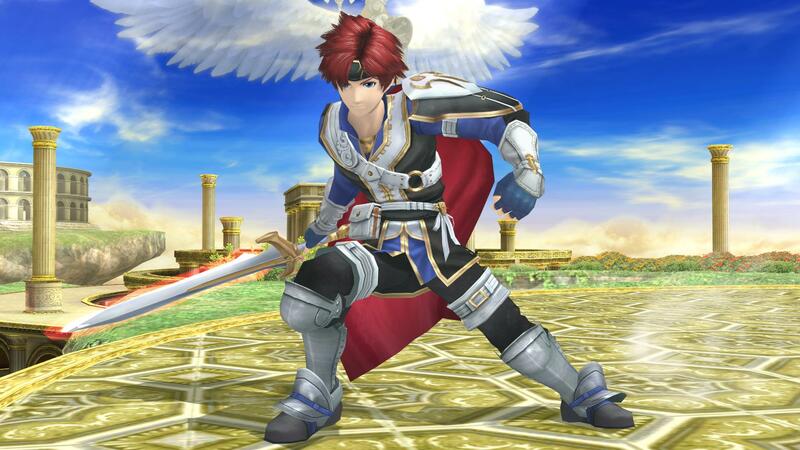 Another Costume for Wii U Roy !! 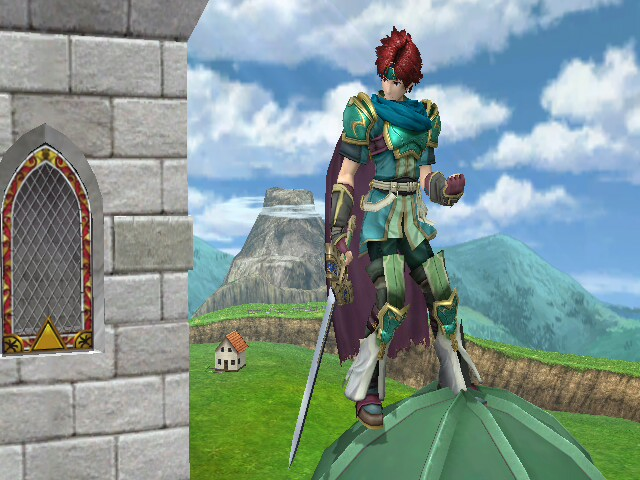 This is actually Wii U Roy model combined with the PM custom Awakening Roy model. 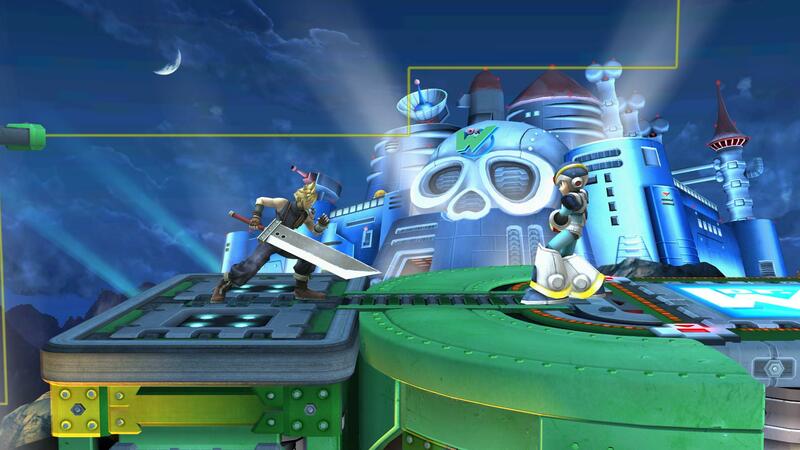 The download include HD textures and two sets of CSPs thanks to TheRealHeroOfWinds. Kuro's CSP will get added in next update. next update will feature recolors and other stuff. He should be trouble free for Wii User. Also included is a One Slot size mod version for fixing his scale problem. PM me if you have any issues with him! 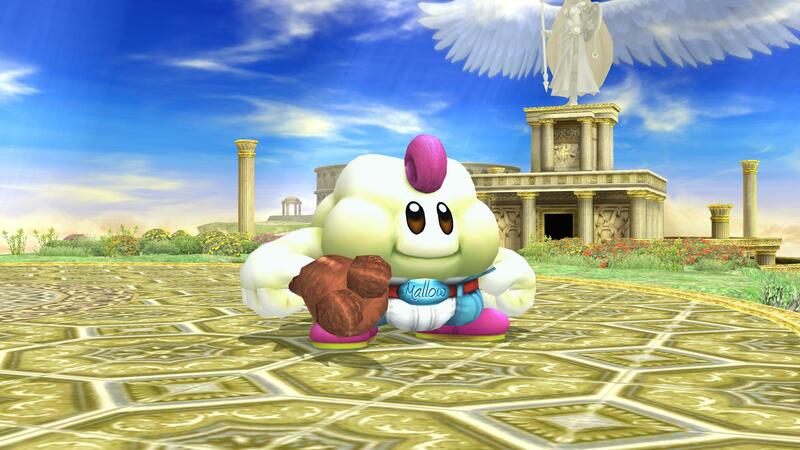 All credit goes to the old Project M team (Nanobuds, Pik, ToCK, KingJigglyPuff, StarWaffle, Theytah) for the very cool model! 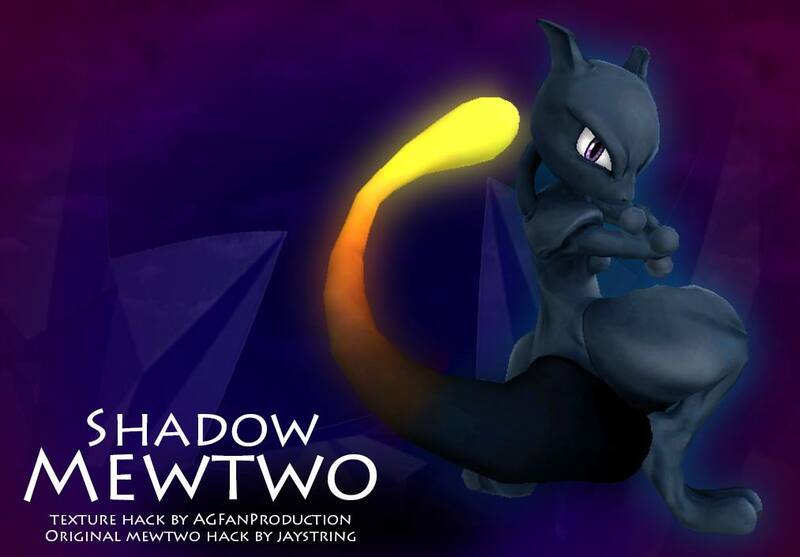 This is a custom model I've made of Shadow Mewtwo. 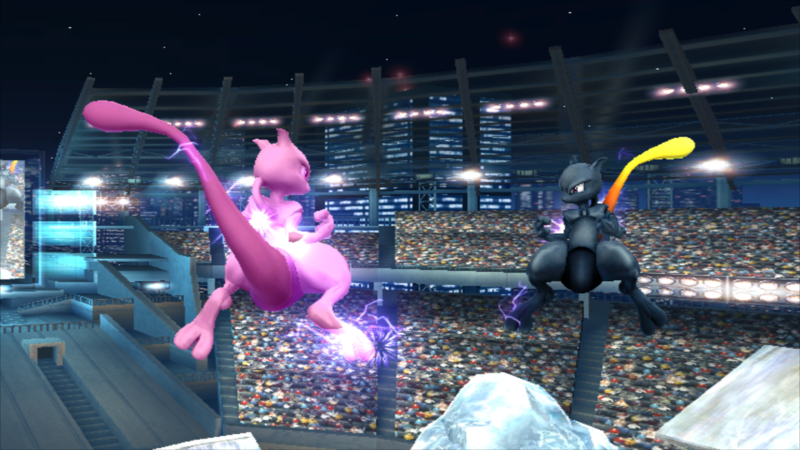 It's a combination of assets from the real pokken model with Smash 4 Mewtwo. 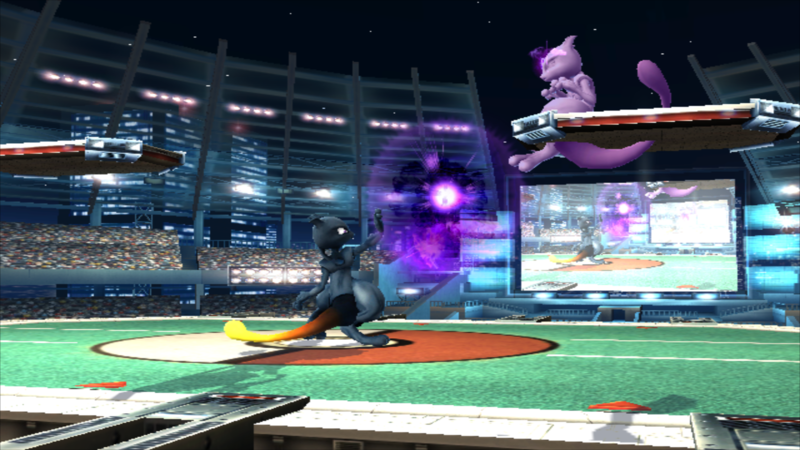 I did this because the pokken model and smash4 model were very different proportions and I wanted a shadow mewtwo model that was consistent with my smash4 Mewtwo mod. 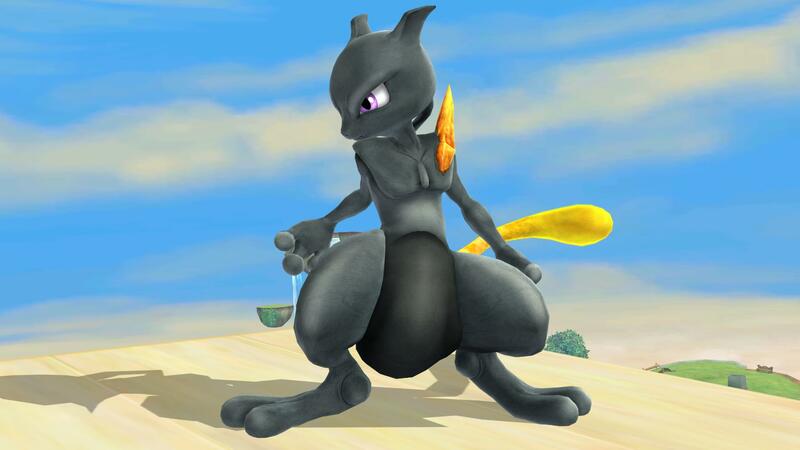 So this is most likely close to how Shadow Mewtwo would look if he was in smash4. 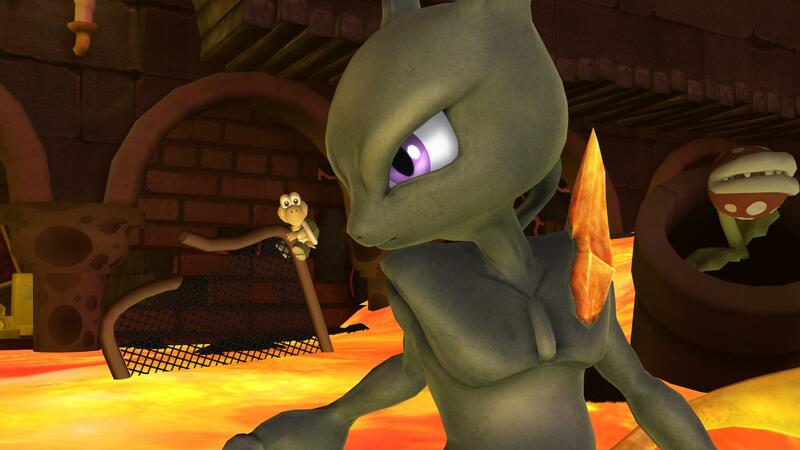 He comes with CSPs and HD textures, facial expression etc etc. Let me know if there is any issues. 4) brought back Sonic's materials and Shaders on Tails. His Fur now has a small glow like Brawl Sonic's fur, his eyes are reflextive as well like Sonic and the red part of his shoes shine like Sonic. Like all my other mods, Tails has moving eyes, metal box shader and facial expressions. Also, Thanks to Kuro who was kind enough to make renders of the mod, I've included 2 sets of CSP! The first one I made myself and the second set is Kuro's set of CSP! Note: The line marking his scalp and the very minor other texture glitches aren't noticable during actual gameplay. This was a request by Dru. 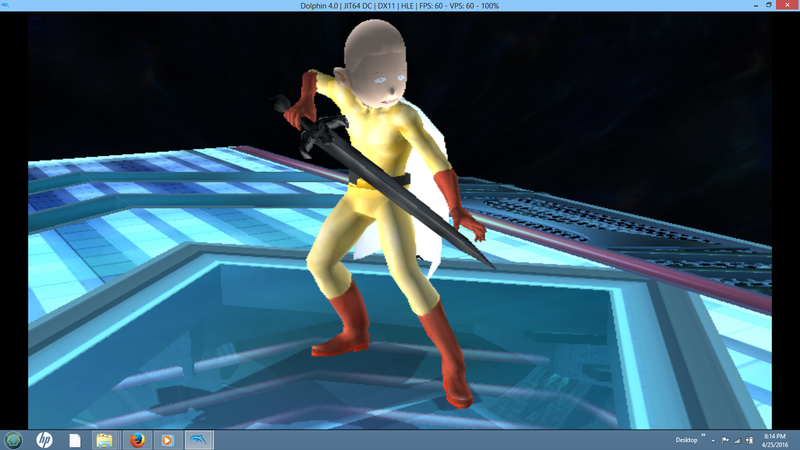 as well as an edited model of Toon Link's face, and then retextures it to look like One Punch Man. 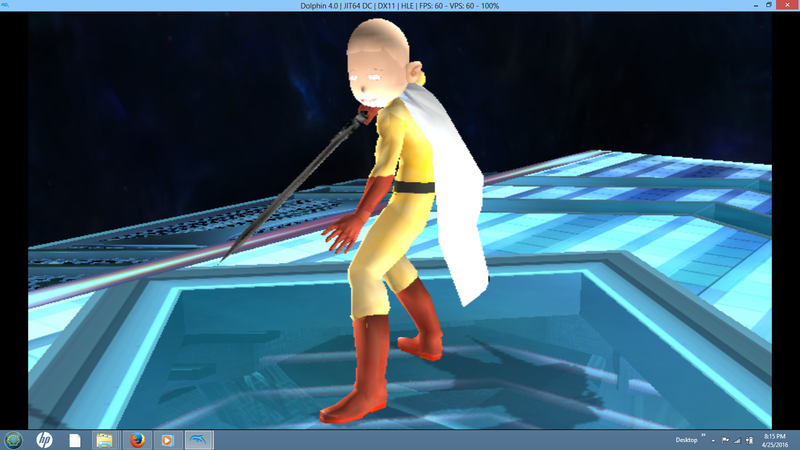 A request by shinsekai94, this mod makes Jaystring's Smash Wii U Ike barefoot, Street Fighter style. 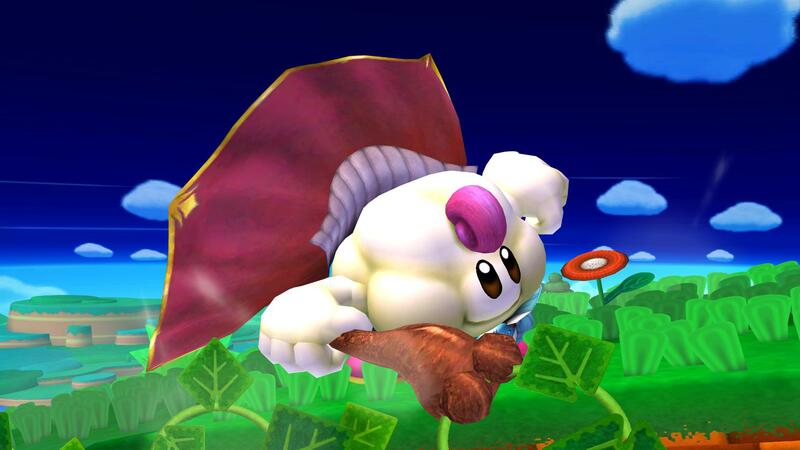 This is Jaystring's Smash U Roy import, optimized for use on the Wii. 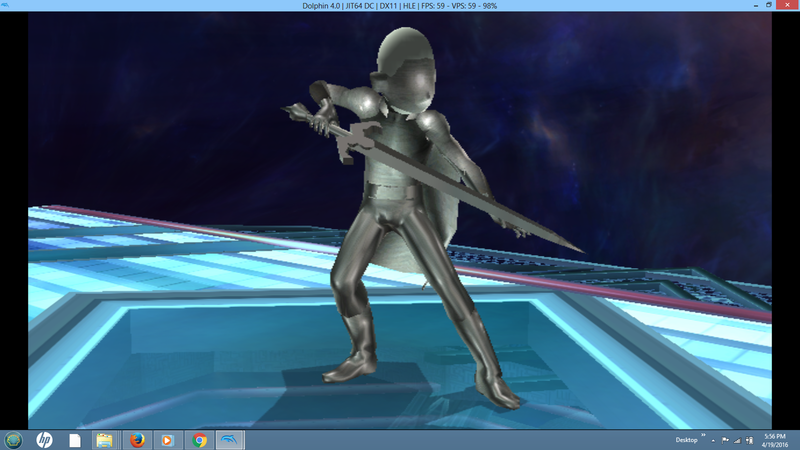 Lowered his tricount to 12k, upped the texture resolution, and modified the specs slightly on his armor and sword. Tourney safe and lag-free with 4 on-screen. Update1: Updated char lighting thanks to Jaystring. Comes with brstm, SSS icons, module files, and stage files! 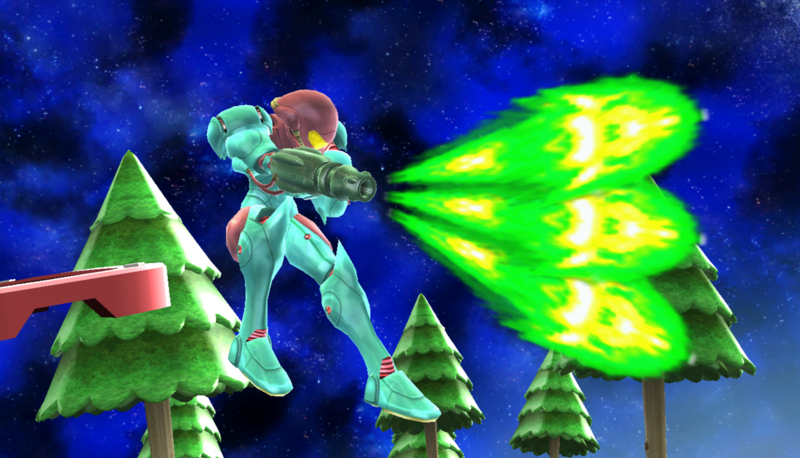 Uses exact camera, death, entry and spawn points used in SmashU. Any issue's, let me know! 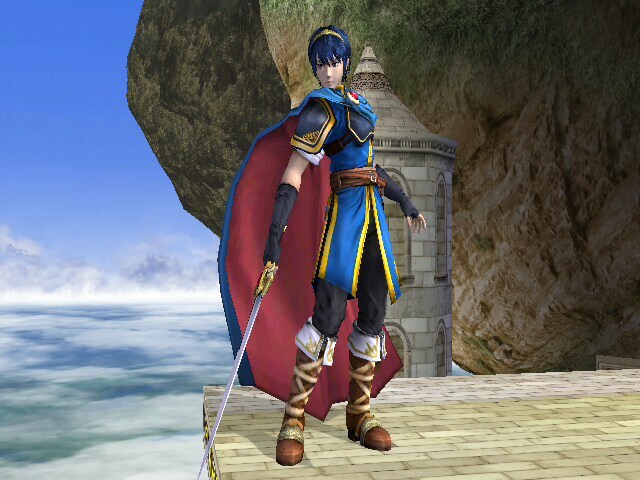 New Costume for Wii U Ike !! 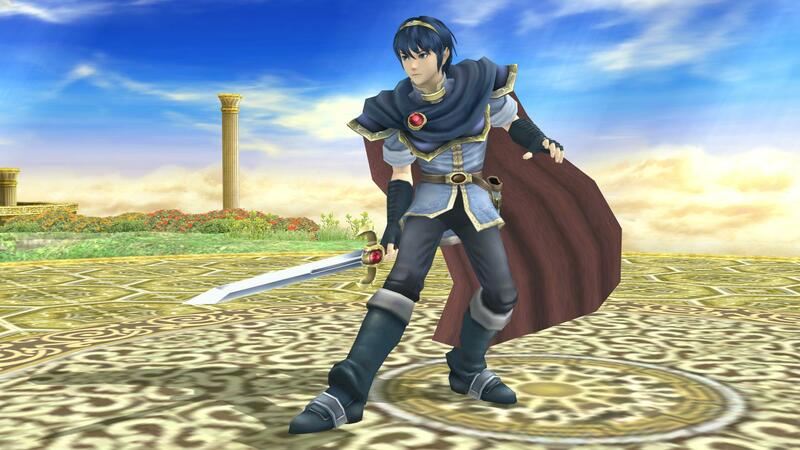 Just Like Roy and Marth before, this is actually Wii U Ike model with the Brawl Costume. 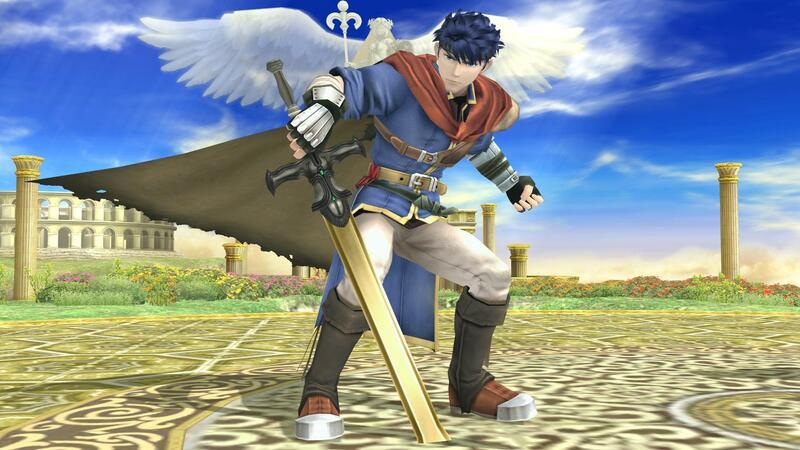 A lot of work was done on Brawl Ike's body to be reshaped to Wii U Ike's proportion. The download include CSP, HD textures and all of Brawl's original Colors + 1 extra custom white recolor I did (you can see all of them in the image gallery on screenshot 3, there's 7 in total). 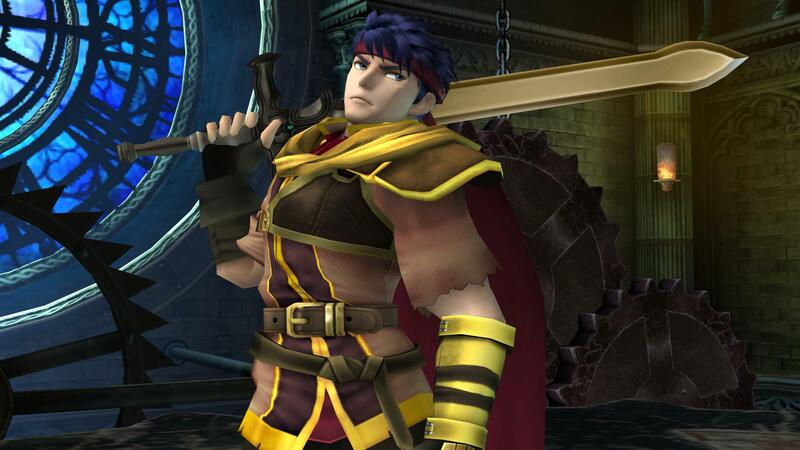 Since the model is much more low poly then Wii U Ike's original costume, he should be trouble free even for Wii User. Special thanks to KingJigglypuff for the in-game pictures! Custom texture hack by AGFanProduction! Actually, I was going to make only the default texture, but in case you wanted another variations I made other ones too. (That's why there are no pics yet haha), no armor recolor. No shoulder-diamond vertex edit was made! Just texture edit. Use your favorite! collab us if used! 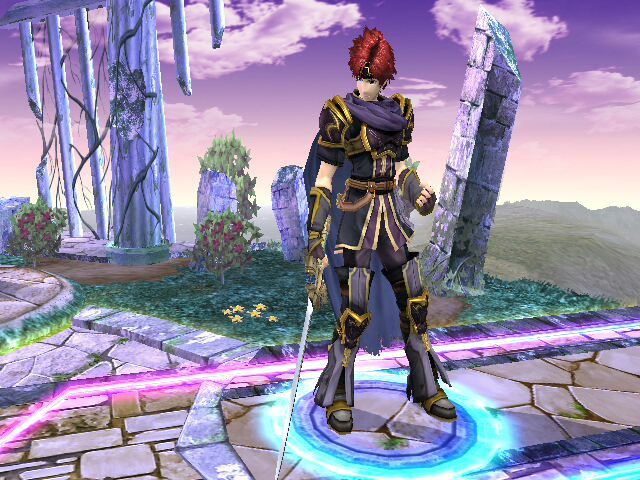 New Costume for Wii U Roy !! 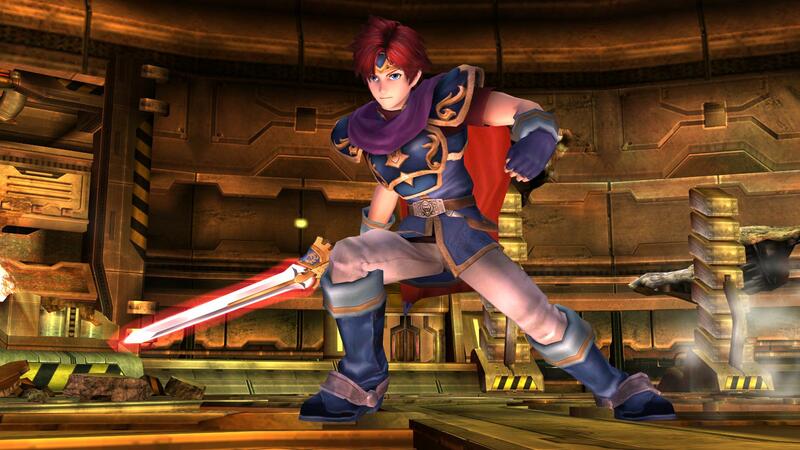 This is actually Wii U Roy model with the Project M Costume. The download include CSP, HD textures and all of Project M's original Colors + one extra white and gold recolor I made (you can see all of them in the image gallery on screenshot 3). 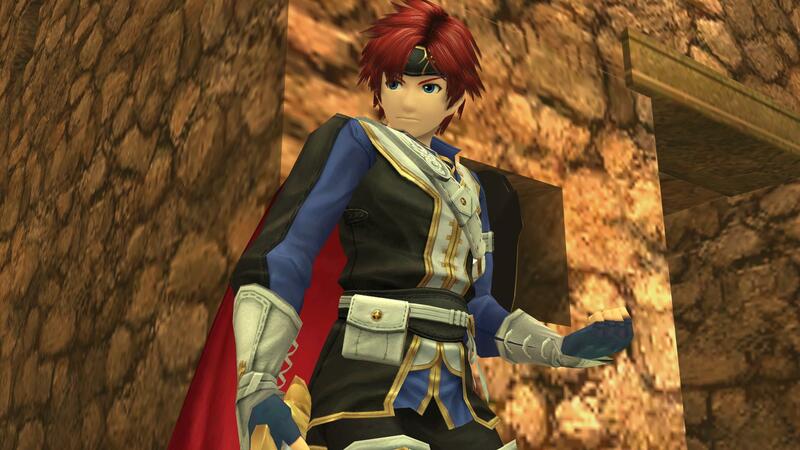 Since the model is much more low poly then Wii U Roy's original costume, he should be trouble free even for Wii User. 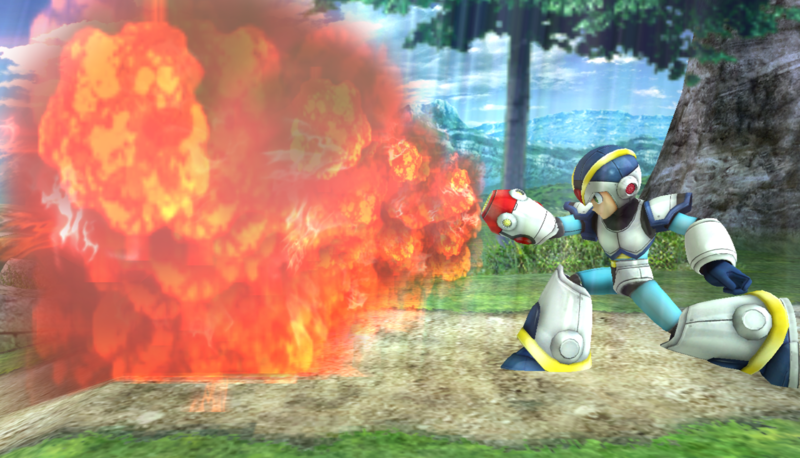 All credit goes to the Project M team for the very cool armor model! 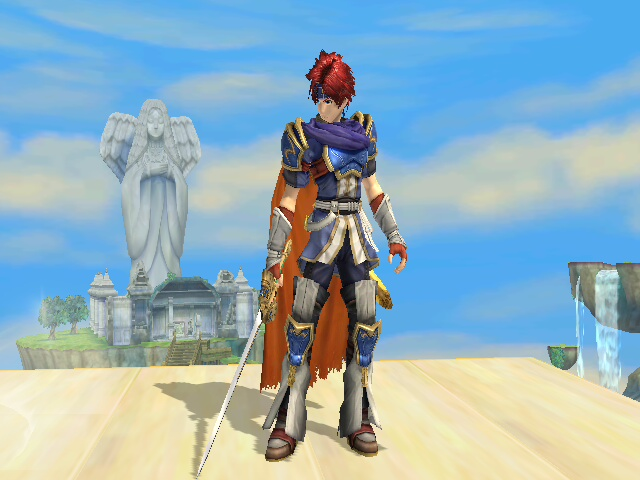 PS : Original Wii U Roy also got updated with HD textures, a new recolor costume and CSP too! 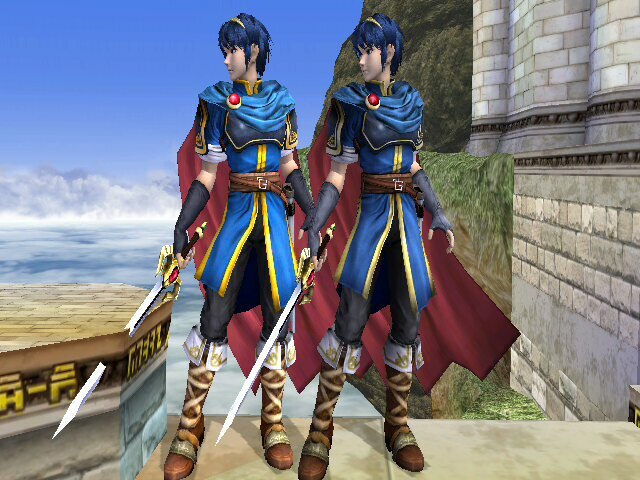 New Costume for Wii U Marth !! 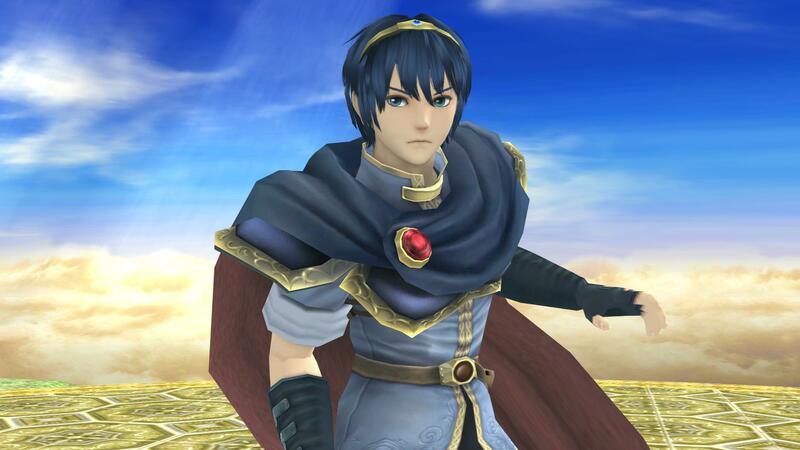 This is actually Wii U Marth model with the Brawl Costume. 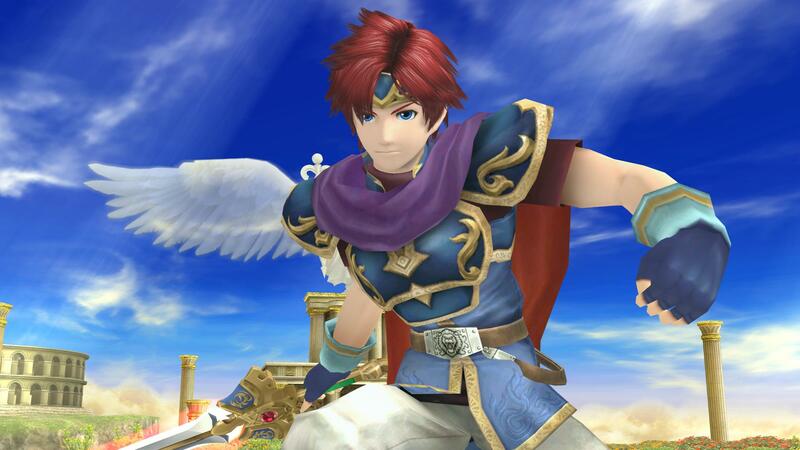 Soon Ike and Roy are going to get the same treatment. The download include CSP, HD textures and all of Project M's original Colors (you can see all of them in the image gallery on screenshot 3, there's 6 in total). 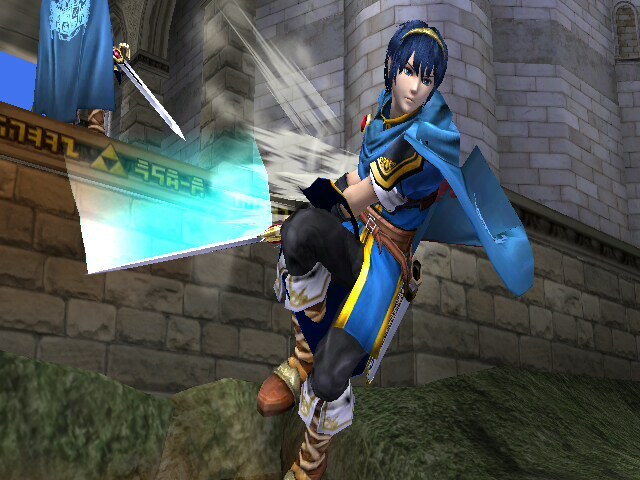 Since the model is much more low poly then Wii U Marth's original costume, he should be trouble free even for Wii User. PS : Original Wii U Model also got updated with HD textures and CSP too! This is actually an old import I did a long time ago that I decided to clean up and release. No facial expression but he does have moving eyes but the movement is actually very suttle and not that noticable. 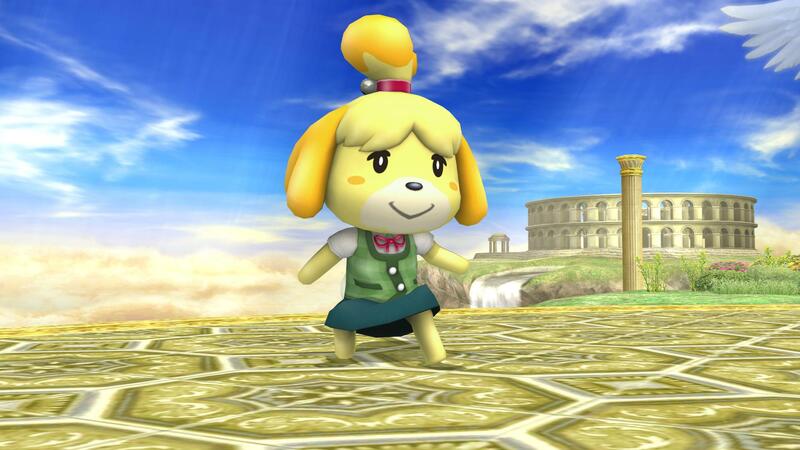 Isabelle from Smash Wii U Trophy Over Lucas! PM me if you have any issues with it! Page created in 0.655 seconds with 137 queries.